Discussion in 'Asus' started by David, May 12, 2009. Microsoft Office 2007 Trial - As the title suggested, this is a trial version of MS Office 2007 (30 or 60 days depending on country). Uninstall is optional. If you do not want to spend extra $ for MS Office, there are other alternatives such as OpenOffice and IBM Lotus Symphony. Amazon Kindle App - In various new Asus notebooks and netbooks sold by Amazon, Asus has pre-installed the Kindle for PC application. This app is a stand-in Kindle e-reader, allowing users to sync pages and pick up where they left off on their Kindle, Kindle DX, Mac or PC. The app also offers users access to the more than 540,00 titles in Amazon&#8217;s online bookstore. It is recommended to uninstall this program if you do not use Kindle. Google Toolbar for IE - This adds a Google toolbar to your Internet Explorer web browser. Uninstall optional but is recommended if you do not use Internet Explorer. Special thanks to EBE for promoting the thread and for his contributions. Another Special thanks goes to Ouka and mbriody for their contributions. austin_wardy, Azazello, cdoublejj and 1 other person like this. Nice work David, very helpful. What is with these tools i dont have lol. Bestbuy model came preloaded with trend i actual;y used my G50 disc to swap it for Norton. List updated with requested info. 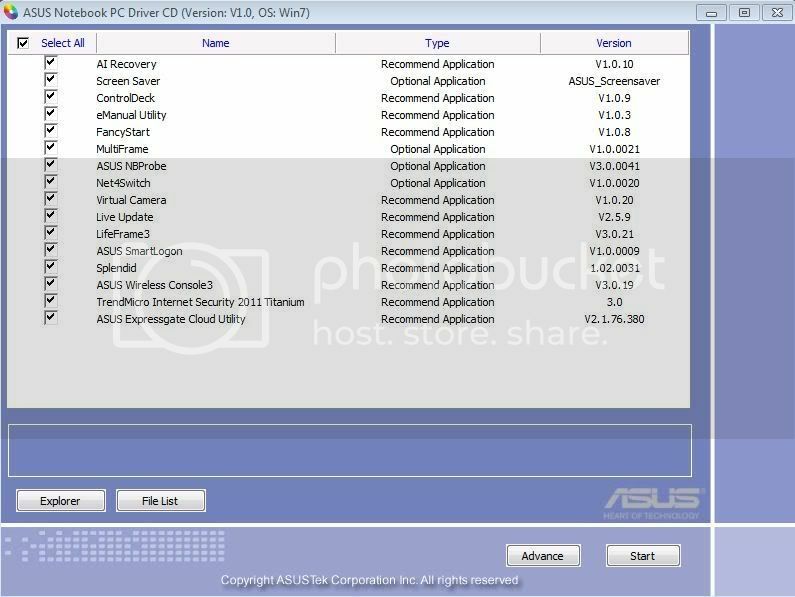 I tried to list all possible utilities/bloatware that came with all Asus notebooks, so there may be some that are not included in your G50. make this into a sticky please! I'm not sure if this thread would be worthy enough to be made a sticky, but if a mod could add a link to the Asus Info Booth (probably under the "Miscellaneous" heading), that would be great. Awesome! This will help out a lot of new owners. WinFlash came pre-installed on my G50.